9am-10am: Play Bully NOTE: The graphics cards in some of these computers aren't quite able to display all the cut-scenes. For instance, when you start your game running, there's a short movie introduction - the visuals may lack colour and show up all wonky. You can skip it or listen to the audio. Once the gameplay starts, everything seems to be okay - so just get through that first part and you should be good to go! 10am-10:45am: Discussion about videogame controversies; how this links back to our discussion last week, as well as earlier discussions about ESRB ratings, story, accessibility, etc. Q: Should the library take a more active role in addressing and/or responding to these types of controversies? e.g. Libraries protect challenged books, and increasingly films, audio, as well. Should they take a more active role in protecting challenged games (against bans, censorship, etc.)? An online game funded by Ontario taxpayers that shows the bombing of a gas pipeline and drew criticism from the premiers of Alberta and British Columbia is being reviewed. 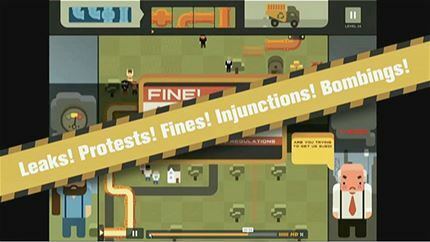 TV Ontario, the province’s public broadcaster, spent money to create the game “Pipe Trouble” to accompany a documentary about the pipeline debate in British Columbia. A TVO blog described “Pipe Trouble” as a “companion ethical game” to a documentary that deals with local opposition to pipelines and the bombing of pipelines in the Peace River region of B.C. Play the game for yourself on the official Pipe Trouble website, and consider whether you think the controversy and complaints are warranted. Read the creators' response to the controversy here. The first, written by Alex Games, explores "Kodu Game Making as a pathway to STEM Learning"
The second, explores "Designing Games with Scratch"
The third, "Learning STEM Skills by Designing Video Games," features a video where a 1o-year-old boy named Rhys talks about using Gamestar Mechanic and the importance of narrative. 9:00am: Play Portal or Portal 2 (Via the "Steam" platform (application on your desktop/netbook). Download Steam if not already on computer: http://store.steampowered.com/about/) (Use username & password Percy sent you for access to Portal and various other games). Debrief on the gameplay experience. Discussion of the game in relation to this week's readings, discussion of the concepts of "educational" games and "games as learning engines" (James Paul Gee's arguments about informal learning vs. "edugames"), etc. Discussion of the role of educational (formal/informal) games in the library - how important (or unimportant) is this idea in building collections? For your playlists? In your game designs? Why? What is "educational" - who defines it? how is it tracked/regulated? - This week's workshop starts with a session of Nancy Drew: Curse of Blackmoor Manor (Hint: PLAY ON JR DETECTIVE SETTING - it's way easier). For anyone who doesn't have a terminal, run up and get yourself a notebook - they should already have the game on them. - What's the linkage between narrative and gender (girl games, Storytelling Alice) - or is there one? Q: What role will narrative play in your design-a-game projects? In your playlists?? Reminder: Game change for next week's workshop - now playing Portal and/or Portal 2 via your class Steam accounts (see email from Ivan for log in name & password). Design-a-game - finish playing through the tutorials, get started on your game/level!!! 1. 9am-10am: Play "World of Goo"!! Bryant article - thoughts on designing for particular users - special needs and vulnerabilities - troubling notions of "gamers" and/or "children" and/or "expertise"
Thoughts on the ESRB rating system - particularly the category "E for Everyone" (what does this mean, what are the underlying politics, etc.). - ESRB Rating Systems: thoughts on process, uses, problems, oversights, etc. Thoughts on designing "for kids" - determining whether something is "age appropriate" - and all the many, many problems that arise out of these processes. From preschoolers to elementary-age....big developmental changes. How would the challenges Bryant describes change over time - how to accommodate for this - how to anticipate without training in child development theory, child education, usability, etc.